To the Lakota, a horse is a relative. A four-legged friend and companion who has for centuries provided transportation, companionship, and pride. Kyal Middletent of the Lower Brule Sioux Tribe [Kul Wicasa Oyate] possesses this same connectedness to his horse, Brulé Breeze—his horse is part of his family. Brulé Breeze and Kyal put their connection to the test in the Badlands of South Dakota when they helped round up wild horses and move them to a new pasture. “It was amazing,” Kyal says. “The adrenaline and teamwork we had...the terrain was challenging, so I really had to trust him.” The trust of which Kyal speaks makes the relationship with a horse so rewarding. Today, many Lakota and Dakota people look to the horse to provide healing. Healing from the trauma endured or the secrets kept. The horse listens and makes no judgements. It feels the pain and soothes its relative. 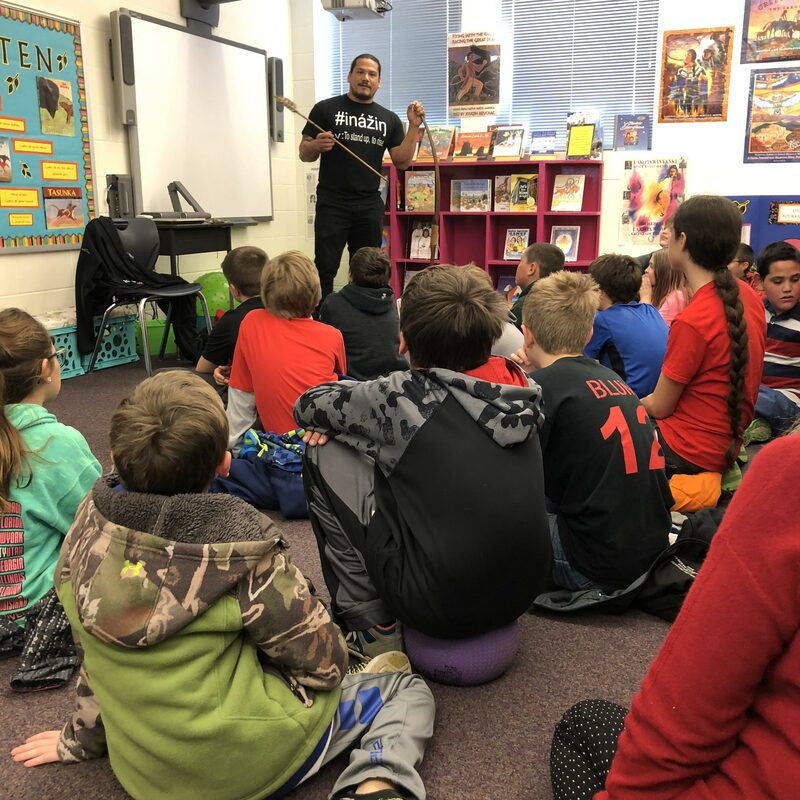 In fact, horse therapy on the reservation is quickly becoming an accepted and effective method of treating trauma for Native American children and teens. 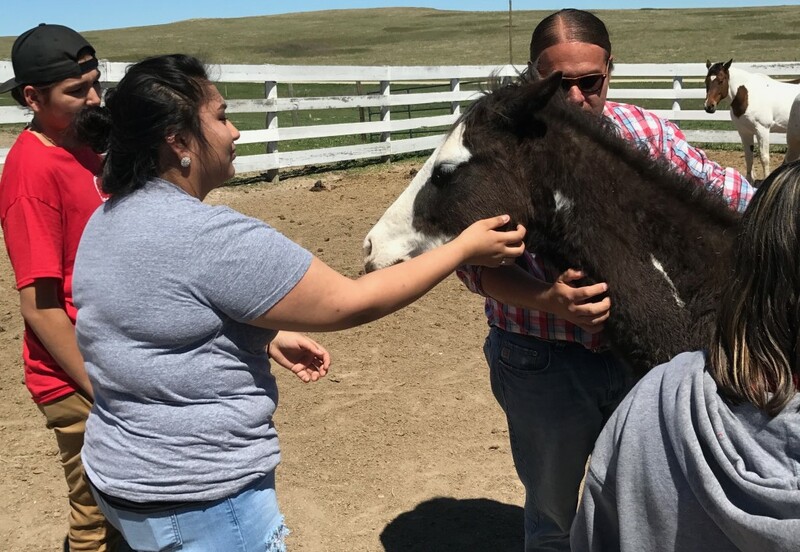 On the Rosebud Sioux Reservation, a ranch called the Tiwáhe Glu Kiní Pi, “Bringing the Family Back to Life,” helps nearly 50 Native American children, teens, and adults weekly through horse therapy. Dave Valandra, ranch manager, and Greg Grey Cloud, ranch foreman and cultural consultant, recently gave three members of our Leaders’ Society a tour of the facility. As the teens stood in the pen with the horses, Greg explained the power the horse holds for those receiving treatment. “The horse and patient find each other. The horse senses everything about his two-legged relative.” And soon enough, the horses started to approach our leaders. The ranch’s success over the past seven years has many other organizations and tribal programs reaching out to them for advice on how to start a similar equine therapy center, which is no easy task. However, based on the program’s results, horse therapy offers a fresh approach for the treatment of trauma. Kyal and his family know the power his horse holds for them, and he values the amazing gift that Brulé Breeze brings to each one of them. For Kyal, this connection is unlike any other. 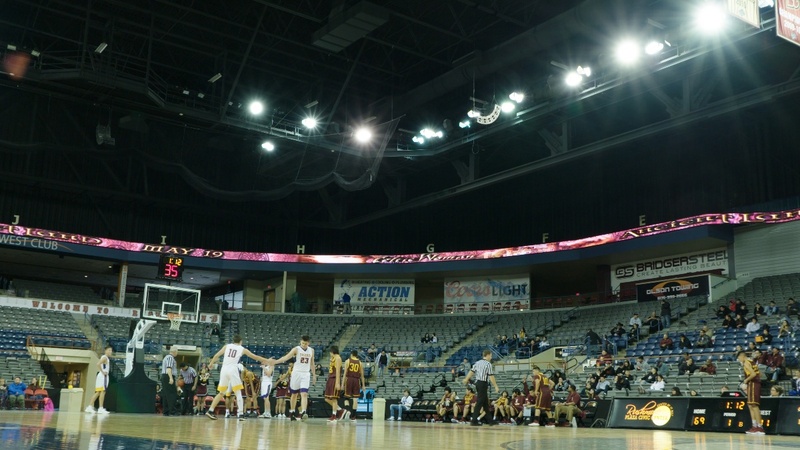 It brings him closer to all things Lakota. Kyal’s commitment to all of his relatives, two-legged and four-legged, makes him a positive role model and leader for Native Hope’s Leaders’ Society members. Within his community of Lower Brule, many see him as a beacon of good things to come. 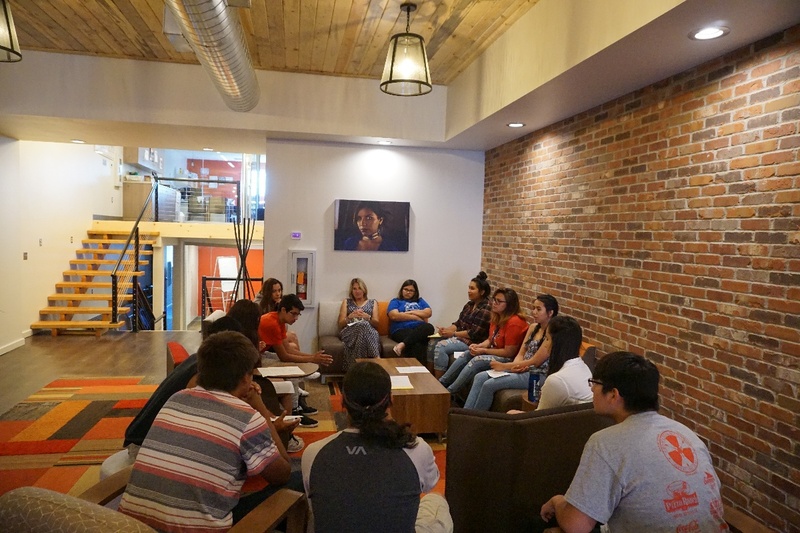 Help Kyal and Native Hope to expand our mission to empower young Native American men and women as they seek to become the next generation of leaders.